I have a fun Ta-Da for you on a project that was so quick, it will likely take me longer to write this post than it took me to do the actual project. Boooooo. Crap all over the place. 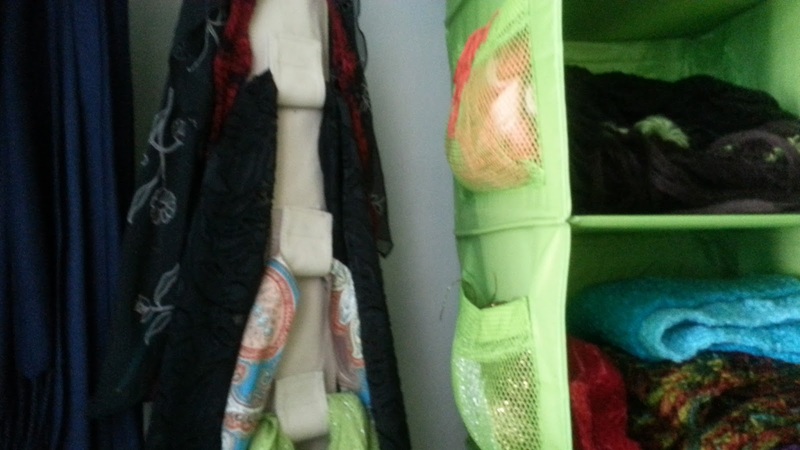 Heck I have a drawer just sitting there not in anything holding shawls. This is embarrassing. 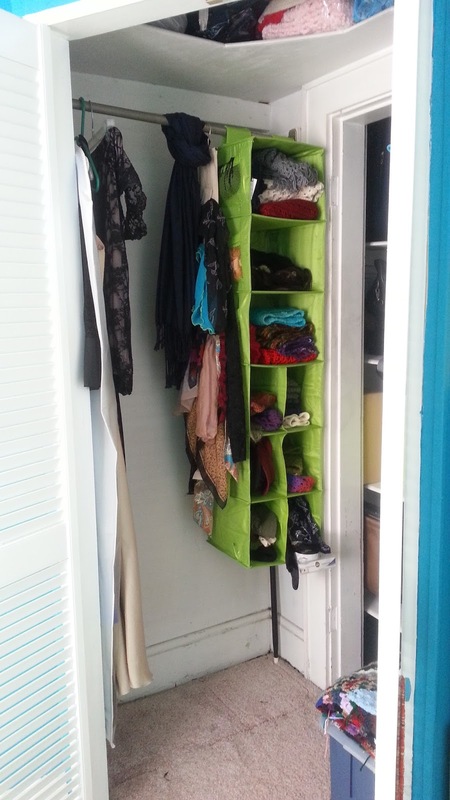 Well anyway, I found this closet organizer today, for $5!!! In the same lime green that I use in that craft room. Double yay! 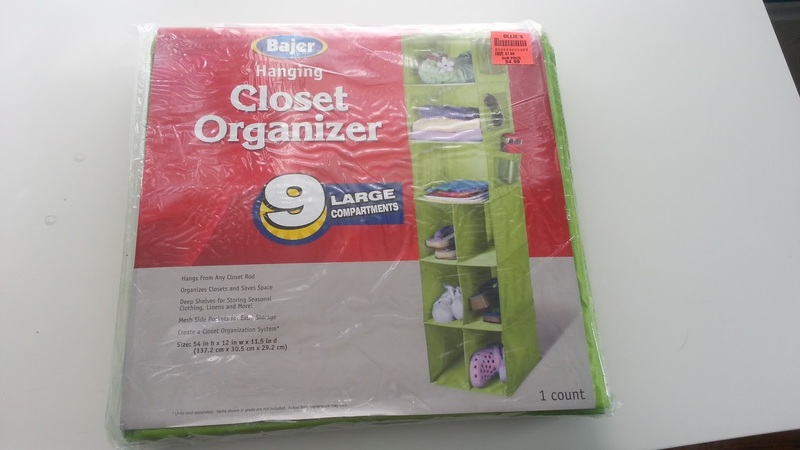 I already had this purse organizer in the closet which I used for more scarves and hug next to the big organizer. Which has pockets on both sides!! I love this! I have finished scarves, hats, etc all over the place. What an awesome (and neat) way to keep track of your finished projects. Thanks! 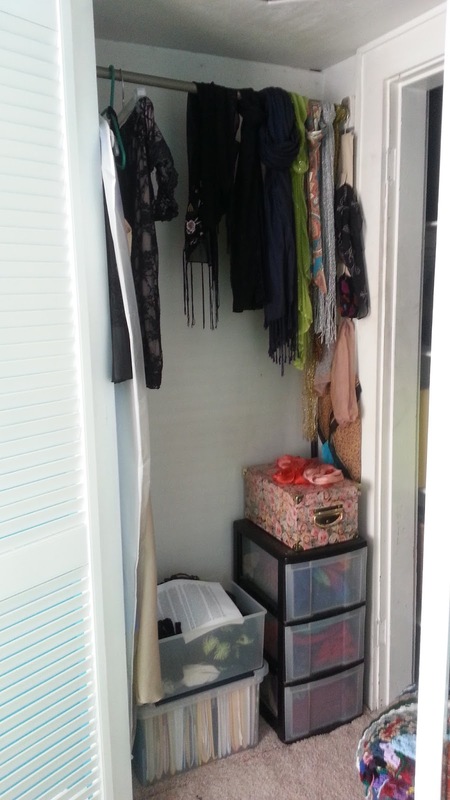 I also like that I can see everything at a glance and don't have to go sifting through drawers.